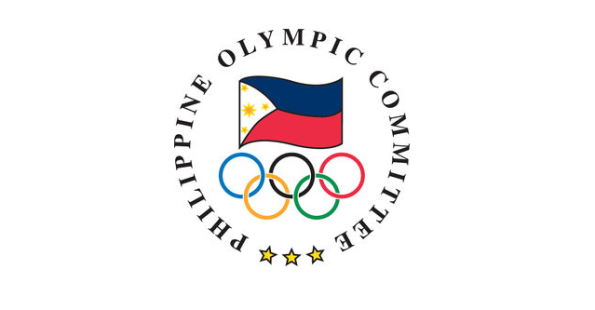 The Philippines will be sending ten athletes to the 2016 Summer Olympics in Rio de Janeiro, Brazil. These athletes will be competing in the following sport disciplines: 400-meter hurdles, boxing, taekwondo, table tennis, weightlifting, marathon, long jump, and golf. This year's Olympic games will happen from August 5 to August 21, 2016. Majority of the events will be held at the Maracana Stadium. 1. Eric Shauwn Brazas Cray - Cray is going to compete in the 400-meter hurdles. He previously represented the Philippines at the 2013 World Championship in Athletics. He was also the recipient of gold medals at the Southeast Asian Games in 2013 and 2015. 2. Rogen Ladon (Men's boxing; light flyweight division) - Ladon earned his spot in the Philippine team after winning a silver medal at the 2016 Asia and Oceania Boxing Olympic Qualification Tournament. He also competed in several international tournaments including the Southeast Asian Games, the Asian Amateur Boxing Championships, the Hong Kong International Tournament, and the Taipei City Cup. 3. Charly Suarez (Men's boxing; lightweight division) - Like his compatriot Rogen Ladon, Suarez earned his ticket to the Rio Olympics with a strong finish - a silver medal - at the 2016 Asia and Oceania Boxing Olympic Qualification Tournament. Suarez beat China's Jun Shan in the semi-finals but he fell in the finals against Mongolian boxer Dorjnyambuugiin Otgondalai. 4. Kirstie Elaine Alora (Women's taekwondo) - Alora earned a silver medal at the Asia Olympic Qualifying Tournament. She earned the berth to the Olympics with a win over Akram Khodabandeh of Iran. 5. Ian N. "Yanyan" Lariba (Women’s table tennis; singles) - Lariba has played as a varsity player for De La Salle University. She competed twice in the Southeast Asian Games. She will be the first Filipina athlete to compete in table tennis at the Summer Olympics. 6. Hidilyn Diaz (Women’s weightlifting; 53 kilograms) - Rio will be the third time that Diaz will compete in the Summer Olympics. She previously joined in the 2008 and 2012 Olympics. At the 2008 games, she was the youngest athlete in her category (women's 58-kg). 7. Mary Joy Tabal (Women’s marathon) - A native of Cebu City, Tabal is the first ever Filipino athlete to qualify as a marathon runner in the history of the Olympics. She earned her ticket to the Summer Games with a very strong finish at the Scotiabank Ottawa Marathon that was held in Ottawa, Canada. Tabal is also a silver medalist at the 2015 Southeast Asian Games in the women's marathon. 8. Nestor Colonia (Men’s weightlifting; 56 kilograms) - Colonia is an alumnus of the Asian Championships (2015 and 2016) and the World Weightlifting Championships. His coach happens to be his uncle Gregorio Colonia who himself competed at the 1988 Olympics. 9. Marestella Torres-Sunang (Women’s long jump) - Sunang is a two-time Olympic competitor. She competed in the 2008 and 2012 Summer Olympics. She currently holds the Southeast Asian Games record for the long jump with her personal best of 6.71 meters. 10. Miguel Tabuena (Men’s golf; individual) - Tabuena is one of two Filipino golfers who qualified for the Olympics. However, the other bet, Angelo Que, has to pull out of the event due to concerns regarding the Zika virus. As a professional golfer, Tabuena has won multiple tournaments including the Philippine Open and the ICTSI Manila Masters.